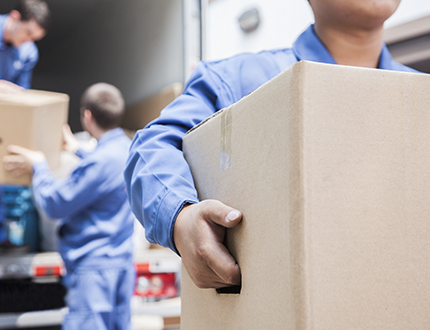 Whether you are moving a single office or an entire building, New Planet Moving and Storage has the expertise to accomplish the move in the least amount of time. We do this with as little disruption as possible to your productivity. The best part is, our prices are competitive in the market by tailoring a price fit for your budget. Online - A free quote is conveniently available online. Just fill out our form, and we’ll send you a rough estimate! Phone - Speak to one of our estimators and receive a general estimate over the phone. In person - For a precise and detailed quote, set up an appointment for one of our staff to determine your shipment in person. This comprehensive quote is preferable than phone or online. Organization is a high priority for our team. An associate will complete a detailed inventory of your contents and implement a tagging system to place them correctly at its new location. This effectively minimizes downtime which provides more time for productivity. On the day of the move, an experienced team leader will direct the crew with a carefully thought plan for the relocation. Productivity is enforced with the help of our state-of-the-art trailers and vans along with ramps, lift gates, and air ride. Expediting the moving process has never been easier with a team of experts on your side. New Planet Moving and Storage is avid in protecting your property all throughout the service. Just like you, we understand the importance of time; without productivity, money is lost. Our goal is to facilitate your commercial move as quickly as possible so that you’re back in business. We are available to move your belongings anytime of the day! "Our items were packed and loaded carefully, and then cheerfully unloaded in New Mexico without damage. We have and will continue to highly recommend your company to our friends. Moving is never easy nor fun, but New Planet Moving & Storage makes it go as smoothly as possible. Thank you for providing such excellent service and crews!" We look forward to making your next move, memorable!